I know that spring has just begun, but it is not too early to start thinking about summer reading. 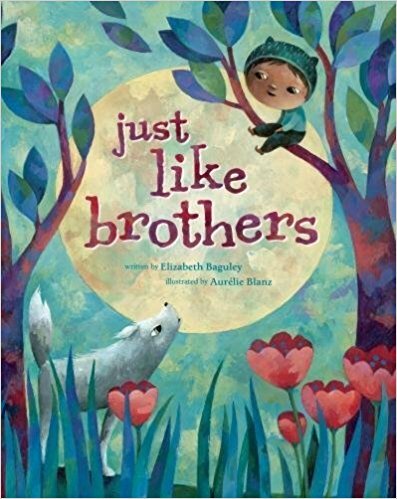 I suggest you start with the latest title from Barefoot Books – Just Like Brothers. I have been selling Barefoot Books for over a decade – in fact my book selling career started when I became a direct seller for Barefoot Books. I was impressed by their books for many reasons. At a time when multicultural books were almost non-existent, all their books were diverse. The artwork was beautiful and engaging. The language was rich and embraced global messages. Their books continue to deliver which is why I am still selling them as a children’s bookseller. Last year I posted sources for finding great children’s books for summer reading. I have updated the links below. Preschool – Young Adult. Fiction and nonfiction. The SLJ review editors selected their picks for the year’s best titles across books, apps, audiobooks and more. Curated from the thousands of books published this year are our picks for the year’s best books for all ages, from Infant to teen. Infant to 16 years. Fiction and nonfiction. Selected by the children’s book committee at Bank Street College of Education. Suggestions are solicited from librarians, teachers, parents, students and other interested persons. A new list of twenty books is released each year at the Texas Book Festival in October. The selection committee is charged with reading all suggested titles and selecting the final master list. In selecting titles, the committee considers student interests, relevant content, reputable reviews, and literary quality. The 2X2 Committee‘s charge is to produce a list of 20 recommended books for children, age two to grade two.